Stunning 5 bed, 4+ bth w/2 bd attached suite- great for guests or income. Less than 1.5 miles away from Historic La Mesa Village. 1940's built with 2018 updating! PAID solar and extensive upgrades-- move in ready! 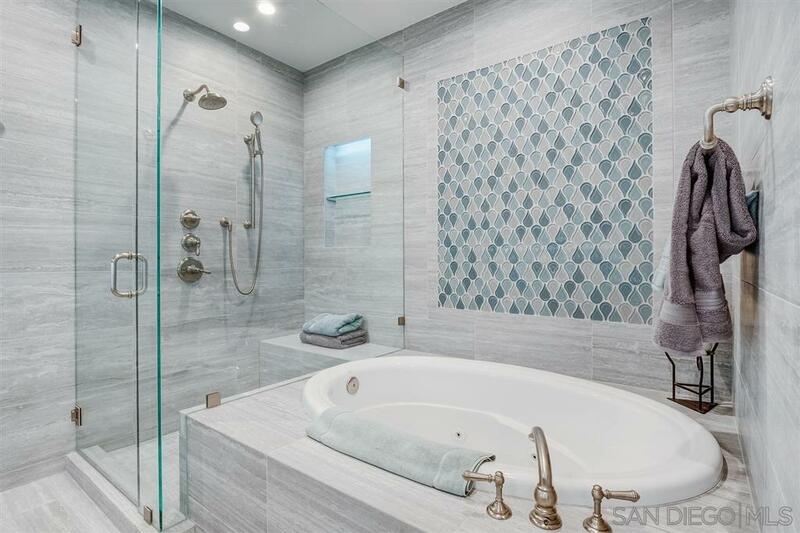 Features a master retreat with luxurious jet bath, walk in closet and clever storage. The kitchen is a central feature of functionality. The yard provides a park-like setting with walkways, gardens and bounty of plants. Portico and pad provide for wonderful outdoor entertainment., The home is located at the base of Mount Helix in the desirable Wister/Virginia neighborhood with easy access to the I-8 and 125 freeways. It is on a private cul-de-sac with views to Point Loma, Downtown San Diego, Mount Miguel and more. The residence is full of technology, recent updates and carefully thought out details you will not find in most homes, including an energy efficient roof, composite siding, new stucco coating, large 26 SunPower panel 8,112 Watt solar array estimated to save $180k over 20 years, zoned HVAC system with separate upstairs high efficiency mini split unit, energy efficient new Anderson and Millgard windows and doors, tons of storage including new pantry cabinets larger than many kitchens, newly remodeled master suite with a jacuzzi tub and custom walk in closet, a computerized weather controlled water efficient irrigation system and flow meter, underground drop watered lawn, gopher wire below the lawns, LED lighting, a large new Alumawood pergola, vinyl privacy fencing, a large variety of fruit trees and berries, extensive paths, patios, and landscaping to maximize the use of the lot. This home must be experienced first-hand to truly enjoy all it has to offer.